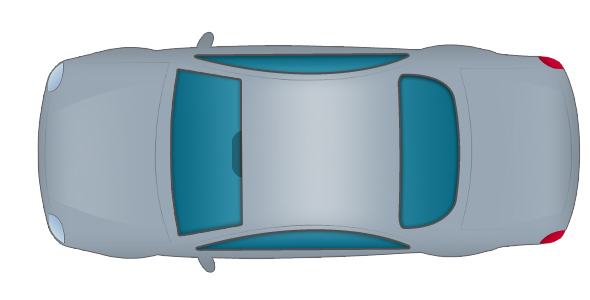 The FrontZone is a revolutionary forward-facing automotive parking assist system developed by Rostra and designed to give every driver peace-of-mind while maneuvering their vehicle forward into a parking space, or when moving slowly towards a solid object that could damage your vehicle. 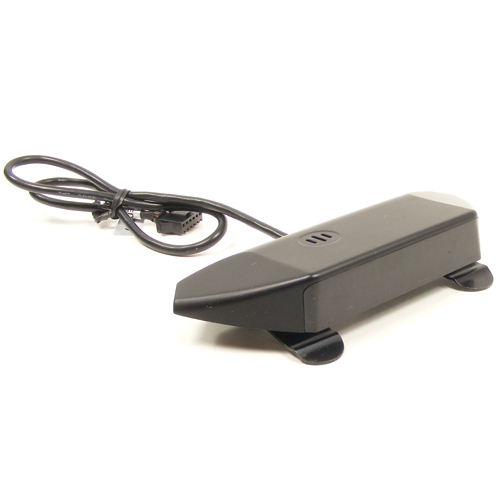 The FrontZone automatically provides both audible and visual alerts to the potential dangers of nearby obstacles through the use of an included buzzer built into a digital display that can be mounted on your vehicle's sun visor or dashboard. 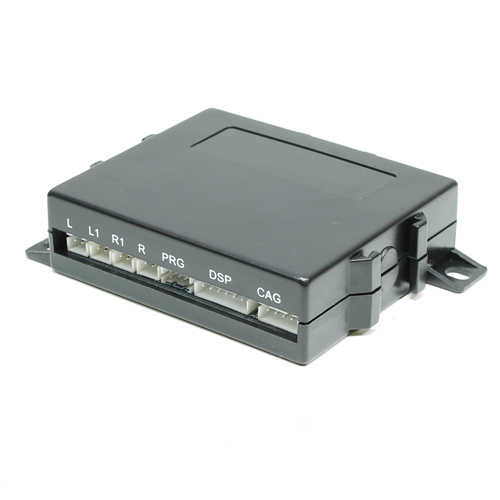 When the vehicle's ignition is powered on, the system will engage and output a single half-second "beep" alerting the driver that it has been activated. The system will further alert the driver to the presence of obstacles within each of it's detection zones. From a pulsing beep to a steady tone, the FrontZone system works to keep drivers aware of their surroundings. The system goes silent again only when an obstacle is no longer in range of making contact with the vehicle, or when the vehicle's speed is above 10 miles per hour *. Included in every FrontZone ultrasonic parking assist system, you will find four bumper-mountable ultrasonic sensors with additional 6-degree and 12-degree angled bezels added to accommodate curved bumpers (see photos). 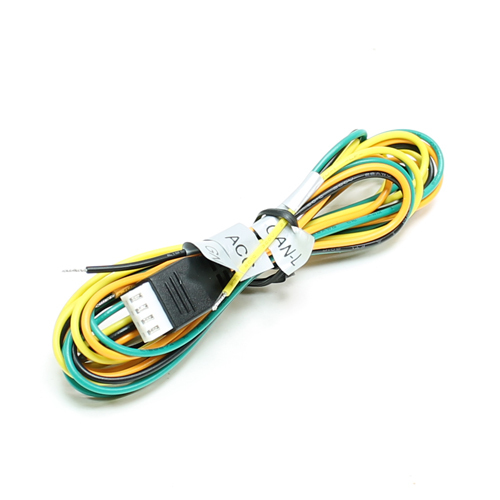 These sensors provide information to the main control module via the vehicle-length wiring harness, also included. The sensors included with each FrontZone system arrive with a flat-black finish that can be painted to match the vehicle's exterior **. Metal bumper? No problem! While the four ultrasonic sensors provided with each FrontZone system are designed to be installed on vehicles equipped with a plastic bumper covering, installers will also find a set of four rubber sleeves and a 25mm hole saw for installing the FrontZone on most pickup trucks. 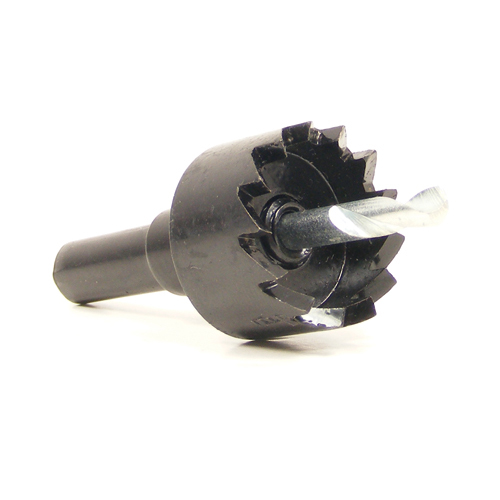 The included hole saw and bumper drilling templates ensure a perfect hole is drilled each time, and the rubber sleeves provide the shock protection needed to eliminate false alarms from the sensors. The cost of a parking aid is often less than the insurance deductible incurred in an accident. Protect your investment with Rostra's economical FrontZone! * The FrontZone system automatically engages on vehicles where a vehicle speed signal (VSS) is provided through the CAN bus system (typically on 2007 and newer year-model vehicles). In the event that your vehicle is not equipped with a CAN-based VSS, an On/Off toggle switch will need to be installed to manually power the system on and off as needed. ** When painting of the sensors to match the vehicle's exterior is desired, it is highly recommended that a paint be used that is devoid of any metal flake mixed in as this type of paint can cause a false alarm situation when the system is engaged. Download a copy of the FrontZone owner's manual by clicking here. Make safer parking decisions by using a FrontZone automotive parking assist to alert you to obstacles closing in on your vehicle while parking. FrontZone's advanced ultrasonic-based technology means the system offers consistency on targets of all densities with fewer false alarms. The flat black sensors included with each 250-1920-FZ FrontZone kit can be painted to match the factory fit and finish of your car! The audible alarm included in each FrontZone automotive parking assist kit provides a unique way of alerting drivers to nearby unseen obstacles. Safety Zone: 28" - 98"
When your vehicle is within the FrontZone's "Safety Zone", an object has been detected but is between 28" and 98" away. When an object is detected within this zone, a slow beeping will begin emanating from the digital display and green indicator lights will illuminate to let you know whether the object is more to the left or right-hand side of your vehicle. As you approach the detected object, the beeping will increase in rapidity. Caution Zone: 16" - 28"
The "Caution Zone" of the FrontZone is meant to increase your awareness to the fact that an object that has been detected between 16" and 28" from your vehicle. Once inside this zone, the beeping emanating from the digital display will increase in speed and yellow indicator lights will illuminate to let you know whether the object is more to the left or right-hand side of your vehicle. As you approach the detected object, the beeping will continue to increase in rapidity. Danger Zone: 0" - 16"
Once within the FrontZone's "Danger Zone", your vehicle is dangerously close to making contact with an object that has been detected. The audible beeping alert from the digital display will increase in speed from a staggered beeping to a solid tone. All indicator lights on the display's face will be illuminated at this point letting you know whether the object is more to the left or right-hand side of your vehicle. The FrontZone digital display can be mounted to the dashboard or clipped to a sun visor. 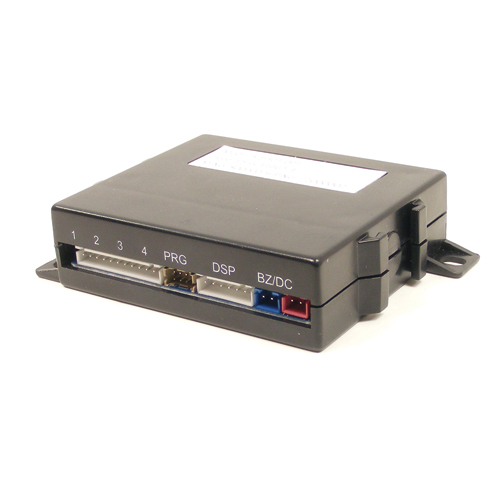 The FrontZone control module interfaces with the bumper-mounted sensors to detect objects in your path. 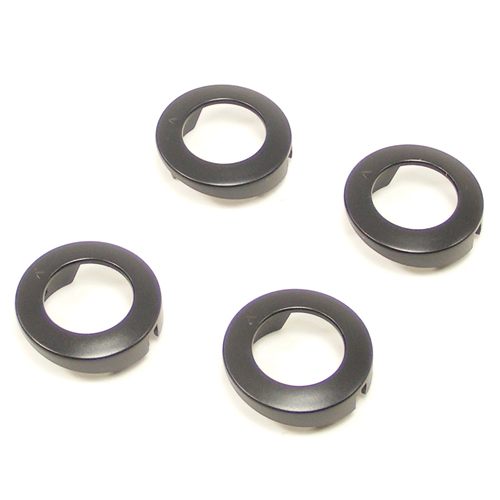 The FrontZone system includes four black bumper sensors that can be painted to match your vehicle's exterior. 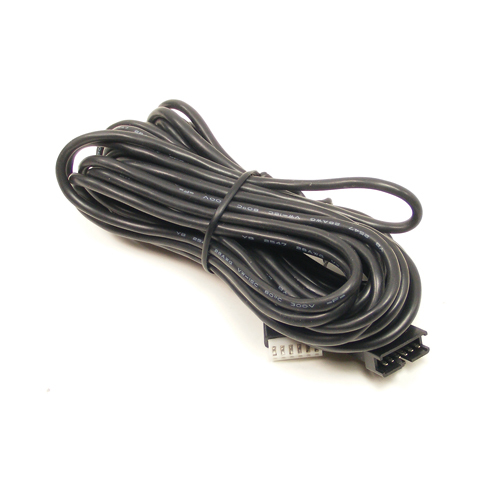 The display cable is designed to connect the included digital display to the FrontZone control module. 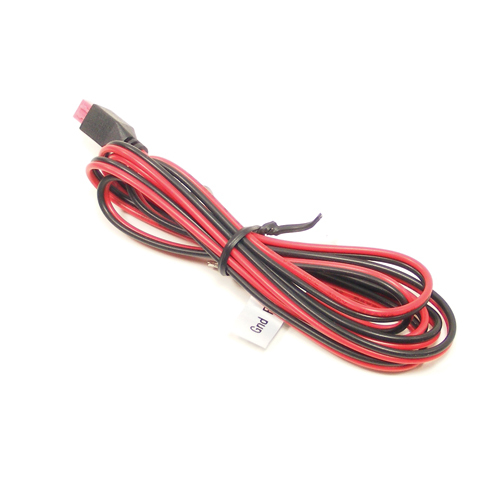 The FrontZone power harness inludes both 12-volt power and ground wires to power the system. The holesaws included with every FrontZone kit ensure you get the right size hole for your bumper sensors the first time, every time. Every FrontZone kit includes four angled and four flat bumper mounts allowing for fitment to virtually any application. 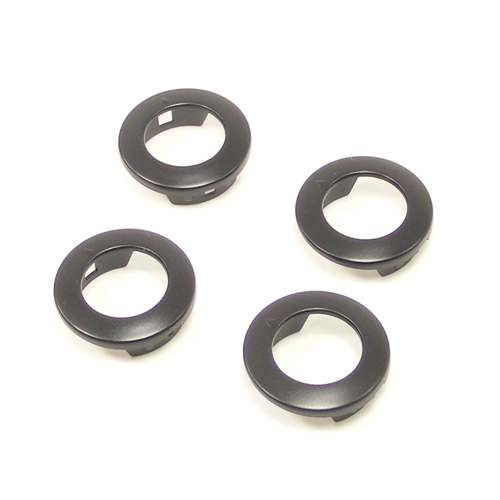 Every FrontZone kit includes four rubber bumper mounts with a holesaw for drilling into steel bumpers.